Juicy, aromatic and highly acidic, lemons bring out the flavor in sweet and savory foods but they nearly always play a supporting role in the kitchen. Stop relegating them to the rim of your glass and give these winter citrus fruits their due – because they’re serious cleaning and freshening powerhouses. These 20 unusual uses for lemon juice will make your home look and smell fresh, brighten your laundry, and improve your hair, nails and skin. Nails looking dull and yellowed after a long period covered in dark polish? Just squeeze a lemon into a small dish, clean your nails and soak them in the lemon juice for a minute or two. Some women claim that this treatment will also make nails stronger, particularly when adding a tablespoon or so of olive oil to the dish. Keep cut fruit and vegetables like apples, pears, avocados and potatoes from turning brown by squeezing on a little bit of lemon juice. You can also perk up droopy lettuce by soaking it for an hour in a bowl of cold water and the juice of one lemon. Caught smelling less-than-fresh, with no deodorant around to save the day? Cut a lemon in half (or snag a wedge from your drinking glass) and rub it under your arms. The citric acid in lemon juice will reportedly kill odor-causing bacteria. In fact, you could use this trick to ditch conventional deodorants altogether. Even garlic, fish, mothballs and that disgusting gunk in your garbage disposal can’t stand up to lemon juice’s odor-eliminating power. Use a cut lemon or fresh-squeezed lemon juice to remove bad smells from your refrigerator, cutting board, microwave or practically any other surface. You can even add it to the cooking water of stinky foods like cabbage, or just simmer lemon peel in water on the stovetop as a natural air freshener. Many insects are highly sensitive to smell, including spiders, ants, fleas and typically so-hardy-they’re-almost-alien cockroaches. Squirt lemon juice in windowsills, the thresholds of doors, along baseboards and into any cracks where insects might get into the house. Add lemon juice to your floor wash for even more insect-repelling action. There’s some debate as to whether this actually works, but if you’re desperate to reduce the appearance of freckles or dreaded age spots, lemon juice might be worth a try. Apply lemon juice with a cotton ball once per day and over time – we’re talking months – they may lighten a little bit. Sweat, mildew, berries, wine, oil – pretty much any substance that leaves a stain on fabric can be removed with good old lemon juice. Durable fabrics can be rubbed with a paste of lemon juice and salt while more delicate fabrics might require a gentler touch, saturating the stain with lemon juice and then washing it out. 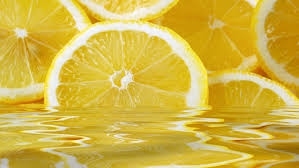 Gargle with a teaspoon of lemon juice in 1/8 cup of warm water to help shrink swollen throat tissue and kill bacteria. Frequent cups of hot tea made with a tablespoon of honey and a tablespoon of lemon juice will also do the trick. When mixed with household borax (not the insecticide kind), lemon juice can remove even those stubborn rust stains from the toilet bowl. Make a paste of borax and lemon juice and apply it to the stain with a scrub brush or sponge. Let it sit for up to two hours, then scrub away. Server responsed at: 04/22/2019 6:23 p.m.